We are a leading Manufacturer of homogenizing furnace aluminium, aluminum plant furnaces, aluminium plant furnaces, rotary tilting furnace, holding furnace aluminum and aluminium melting furnace from Ahmedabad, India. We feel immensely pleased to offer a precisely designed Homogenizing Furnace Aluminium with high functionality. 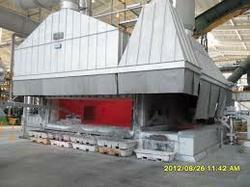 The offered furnace is manufactured by our professionals using excellent quality raw material and advanced technology. Additionally, our quality controllers examine this furnace upon various quality parameters to eradicate any possible defect. We provide this range to our clients with various specifications keeping in mind their detailed requirements. We are the leading supplier of Aluminum Plant Furnaces made from high quality material at competitive prices. Our turnkey solutions for Aluminium Cast house industry is the highest performing in India. 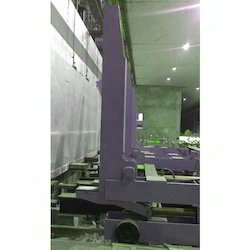 Start from the Aluminium Melting to metal transportation and Slab reheating to Coil / Foil annealing furnaces. Homogenizing furnaces and Vertically charged Slab Reheating Furnaces have the award winning designs with capacity up to 90 MT. 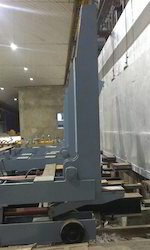 We have designed and commissioned 7 Tilting Type melting furnace and vertically charged Slab Reheating and Homogenizing furnace in Indian in span of less than 2 years. Our esteemed clients in this industries are India foils Limited, Sacheta Metals Limited and many others. 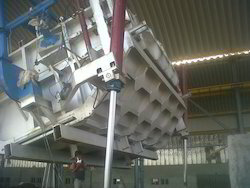 Various Designs Techniques We design and Build Various types of Aluminum Melters like Tilting Barrel Type, Reverb Melter, Tilting Rotary Type, Top Charging Melter, Multi Chamber Melter, Rotary Tilting Type Furnaces. The design can be chosen on the basis of capacity of melter or molten metal, type of scrap processed, Fuel Used, and out put requirement and melting rate of the furnace. 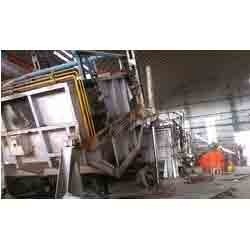 We are the well-known manufacturer, exporter, trader and supplier of Aluminium Plant Furnaces. 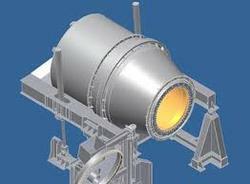 Under precious guidance of our skilled professionals, we are engaged in manufacturing, trading and supplying a quality approved Rotary Tilting Furnace to our clients. 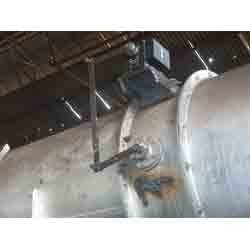 Owing to long service life and precise design, the offered furnace is widely demanded in the market. Provided range is precisely engineered by our experienced professionals using quality assured components and progressive technology. In addition to this, our quality experts perform a series of quality tests on this furnace in order to make flawless dispatch from our end. Our firm is engaged in manufacturing, exporting, trading and supplying a vast array of Holding Furnace Aluminium. This product is precisely manufactured in various specifications so as to meet the broad demands of our precious clients. The entire range is tested on well-defined parameters of quality in order to eliminate all possible flaws, before offering to our precious clients. Further, we offer the entire range of products at market leading prices. Our enterprise is the remarkable name in the market deals in manufacturing, exporting, trading and supplying an extensive range of Aluminium Melting Furnace. Offered range is perfectly designed to meet the requirements of clients. Further, this product is designed and polished by our experts using premium quality raw material. We offer this product in various specifications in order to meet various requirements of clients. Our valuable clients can get this range from us at market leading prices. With the help of our professionals, we have been able to offer our clients qualitative range of Furnace Automation System. The offered product is efficiently manufactured by our professionals using premium quality raw material, procure from the trustworthy vendors of the market. This system is designed as per industry standards. Moreover, our clients can avail this product from us in various technical specifications at a very reasonable rate. Our valuable clients can avail this product in a wide variety of sizes and dimensions as per exact application requirements.